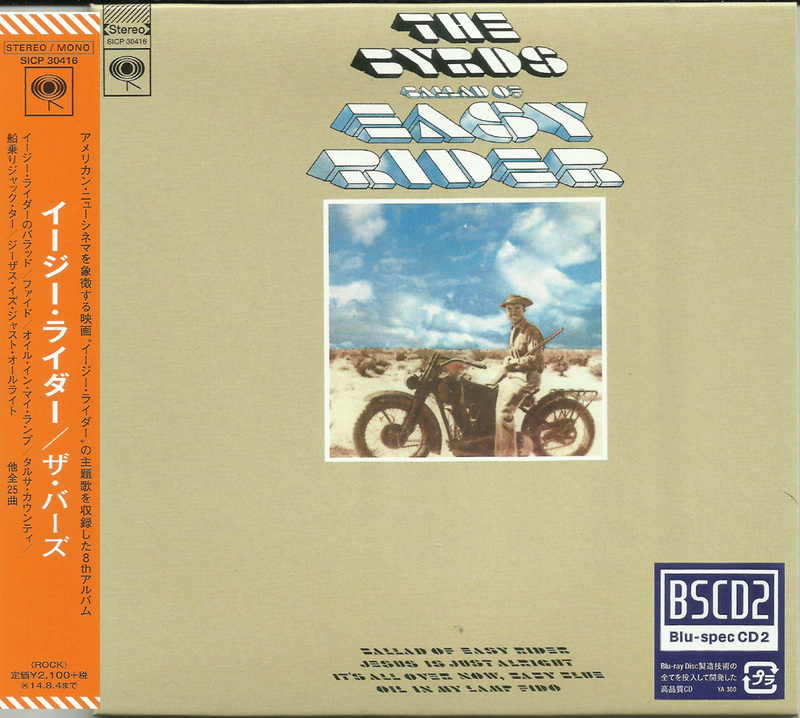 Ballad of Easy Rider was one of two great Byrds’ albums to be released after the groups’ acknowledged heyday (Mr. Tambourine Man to Sweetheart of the Rodeo). Released in 1969, before the excellent double set Untitled, Ballad of Easy Rider was a quiet, tranquil record with good songs and fine, professional performances. By this time Clarence White was a full-time member and the group was looking to rebound from their prior release, the uneven Dr. Byrds and Mr. Hyde. 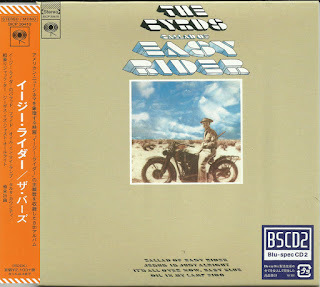 Ballad of Easy Rider kicked off with the title track, two minutes of beautiful countrified folk-rock that was notable for its stately orchestration. This was definitely one of the latter group’s finest performances and legend has it that Dylan wrote half the lyrics down on a napkin (McGuinn naturally finished up the song). 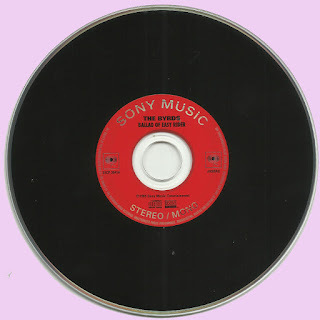 Perhaps the album’s most popular track was the gospel influenced “Jesus Is Just Alright,” a fine pop number in it’s own right that reached the lower regions of the charts. 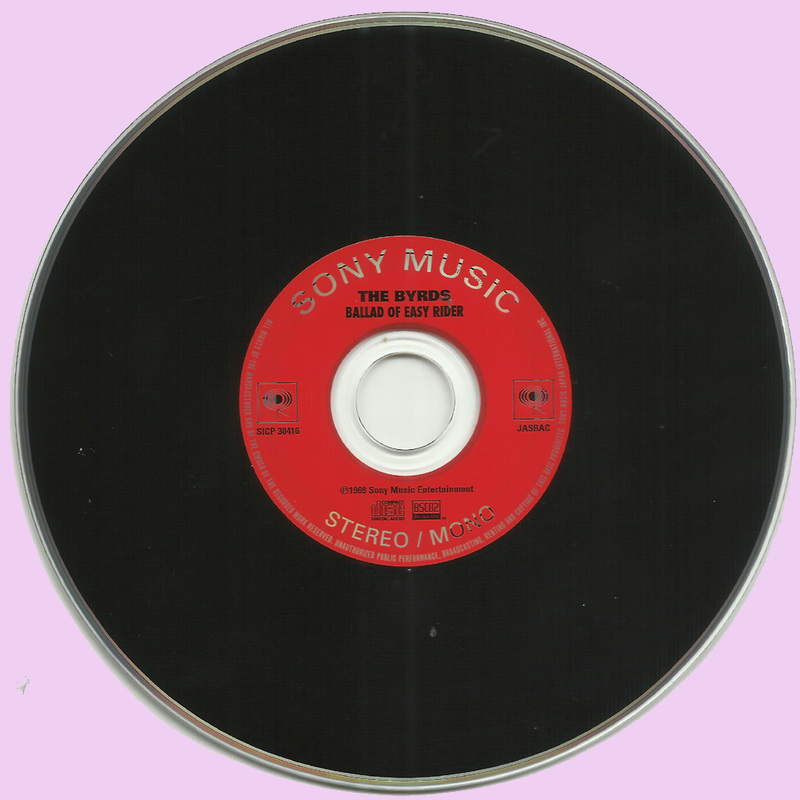 There were great covers of “Tulsa Country” (country-rock with excellent guitar work from Clarence White), “There Must Be Someone I Can Turn To” (a classic Gosdin Brothers‘ track), “Jack Tarr The Sailor” (a sea shanty folk-rocker with stinging electric guitar and banjo) and Woody Guthrie’s “Deportee.” The story behind “There Must Be Someone I Can Turn To” is rather interesting. One night Vern Gosdin came home after playing a gig to find his house completely empty. His wife and kids were gone along with the furniture and there was a goodbye note from his wife. With this in mind, Vern sat down and wrote “There Must Be Someone I Can Turn To.” The Byrds decided to include this number into their set because of its meaning and emotional power. The originals on Ballad of Easy Rider are also impressive. “Fido,” written by John York is a funky number about a stray dog. There’s a brief drum solo and some strong guitar riffs, it’s unlike anything the Byrds would ever record. “Oil In My Lamp” showcases a Clarence White vocal and is an excellent country rocker with a very laid back, rustic feel (with more great guitar riffs). The best of the bunch is “Gunga Din,” a minor Byrds’ classic with Gene Parsons taking lead vocals and really great finger picking via Clarence White. It almost seems as if Roger McGuinn relinquished his leadership role in the Byrds to let Clarence White take the spotlight on Ballad of Easy Rider. I think it’s wrong to assume the Byrds were dead after Sweetheart of the Rodeo. Many fans suggest this version of the Byrds was less innovative and lacked a strong songwriter. While the Byrds did write fine original material they were also known as great interpreters of folk and country material. I must point out that these latter day Byrds were known to be a great live band (probably the best in the group’s history), featured one of the era’s finest guitarists in Clarence White, and released two classic country-rock records. This is one of them. The Byrds, — under the aegis of McGuinn the Survivor — are renowned for a rich, thickly-textured instrumental sound and equally distinctive vocal harmony. Every new Byrds album seems a continuation of the last; few surprises occur — instead, it's just like a visit with old friends. Everyone who's written about the Byrds has detected, in retrospect at least, their all-along C&W soul; now McGuinn is denying that as mostly mythical, as having been merely the influence of Parsons and Hillman on the group. His claim won't wash for Dr. Byrds (cut after their departure), but it just might for Ballad of Easy Rider — because this album exhibits several cuts with a whole "new" sound. Unfortunately, it's also only intermittently successful. The title cut, for example, adds strings (! ); but it flows gently, sweet Dylan, brief and to the point, and McGuinn's voice truly makes you feel free. "Fido" comes next — "Bird Dog" revisited — with cowbells and conga rhythms and a definitely non-Byrds harmony (evidently McGuinn's no longer requiring the other voices to complement his). Followed then by old-time Byrds-gospel, "Oil in My Lamp." Jaunty guitar interplay, but a paltry song. McGuinn's feeling vocal and Clarence White's hick picking bring it all back home with "Tulsa County Blue": "I don't know just where I'll go . . ." A bizarre rendition of "Jack Tarr the Sailor" closes out the top side. The bottom side's equally confused — strong and sure for "Jesus Is Just Alright" and a slow-as-molasses-or-Fudge "It's All Over Now, Baby Blue." For the latter, McGuinn contributes a much more inventive vocal than he did for Easy Rider (the film), and White's guitar spices and spruces everything up. Thanks Marios! 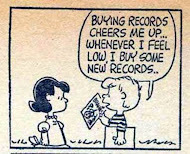 An overlooked record indeed. Thanks a lot Brother. I don't have the bonus tracks on the edition I have..